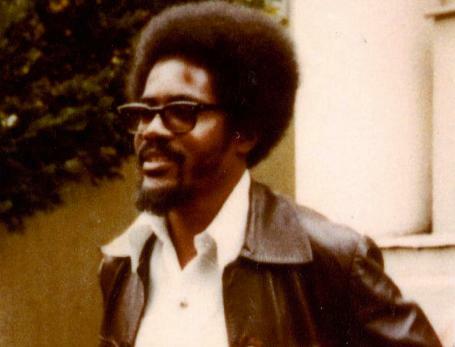 AFRICANGLOBE – Thirty-six years after co-founder of the Working People’s Alliance, Dr. Walter Rodney was assassinated in a bomb-blast at the height of calls to dislodge the then People’s National Congress (PNC) from government, a Commission of Inquiry has found that then Guyanese Prime Minister Forbes Burnham was part of the plot. “Further, given the manner in which the country was run coupled with the threats issued by Prime Minister Burnham to the members of te WPA and the evidence of Mr Robert Allan Gates, we conclude that Prime Minister Burnham knew of the plan and was part of the conspiracy to assassinate Dr. Walter Rodney,” states the commissioners in the 155-page report. Meanwhile, the Justice for Walter Rodney Committee has called on President David Granger to officially release the report which was dropped off by the Commissioners at Attorney General, Basil Williams’ Chambers. “There is no exigency or body of circumstances – whether arising from the obligations of government, or the stresses and strains of coalition politics, or the dominance of the PNC in the coalition, or any internal traumas – that can justify any attempt to stifle the unfolding of all the consequences of the publication of the report of the Commission of Inquiry,” the Justice for Walter Rodney Committee said in its statement. 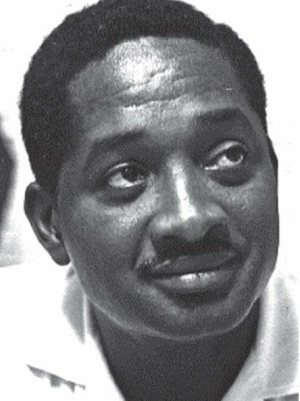 Rodney was killed on June 13, 1980 while sitting in his brother’s Mazda Capella car, PBB 2349, on John Street, near the Georgetown Prison. Under the chairmanship of prominent Barbadian lawyer, Sir Richard Cheltenham, the Commission also found that then Guyana Defence Force (GDF) electronics expert, Sergeant Gregory Smith who supplied the bomb-in-walkie talkie to Walter and his brother, Donald, was part of the plot to kill Rodney. “Given all the relevant facts, events and circumstances set out in the report, we unhesitatingly conclude that Gregory Smith was not acting alone but had the active and full support, participation and encouragement of, and/or was aided and abetted by the GPF (Guyana Police Force), the GDF (Guyana Defence Force), agencies of the State and the political directorate in the killing of Dr. Walter Rodney,” states the report. Former GDF pilot, Gerry Gouveia testified before the three-member commission, saying that he recalled flying a man, who closely resembled Smith, a woman and children to Kwakwani aboard an army plane. GDF officers, who testified before the commission, had said they could not have found any records about how Smith left the army and the aircraft logs at that time. Shortly after the incident, the GDF had denied having any Gregory Smith enlisted but only admitted after the privately-owned Catholic Standard newspaper published a photo of Smith clad in GDF uniform. Forbes Burnam will be judged by history as a traitor to Black empowerment. The Justice for Walter Rodney Committee suggested that the Commission of Inquiry Report should be tabled in the National Assembly since all of the political parties had agreed that the probe was long overdue. The Committee called on the President to say when the report would be released to Rodney’s family, the lawyers, political parties and the media. “The President and the Coalition must recognize the historical significance of this inquiry, not only as a means of bringing closure to an aspect of Guyana’s sad history over the last 50 years; but as a measure that if dealt with properly, can aid the beginnings of the long awaited and lofty ideal of reconciliation, and the expectations of Guyanese at home and abroad for a new beginning. The time is now to begin to put an end to the turbulent politics of division, denial of rights, and state disrespect for the law and the constitution. Continuance of the State’s disrespect for rules and procedures cannot and should not be countenanced. In Guyana’s long history of Commissions of Inquiry into various issues, there have been no disputes about the printing of Commissions of Inquiry Reports. Likewise, there has been no dispute about the courtesy of the Commissioners handing over the report and no mystery about its custody,” the Committee said. The WPA is now part of a coalition with the PNC-Reform in the current administration that won the May 11, 2015 general and regional elections. The Commission also noted that Smith left Guyana shortly after the incident for French Guiana where he lived and worked for decades until his death in 2002. “We accept that Gregory Smith, renamed Cyril Milton Johnson, received State assistance in going to French Guiana. The choice of country was deliberate and was no doubt informed by the fact that (the) French government, of which French Guiana was a Department had a policy opposed to the death penalty. In short, it would have been difficult, virtually impossible, to secure the extradition of Smith/Johnson from French Guiana,” states the document.